Environmental testing is utilised in order to simulate real world conditions in which products will actually be operating, in order to pass certification standards such as RTCA DO160, or simply to assess product performance and durability. Resonate Testing’s facility offers a range of Testing, in particular temperature and humidity environments. High temperature, low temperature and thermal cycling with rapid ramp rates, as well as combined temperature and humidity tests can be performed. 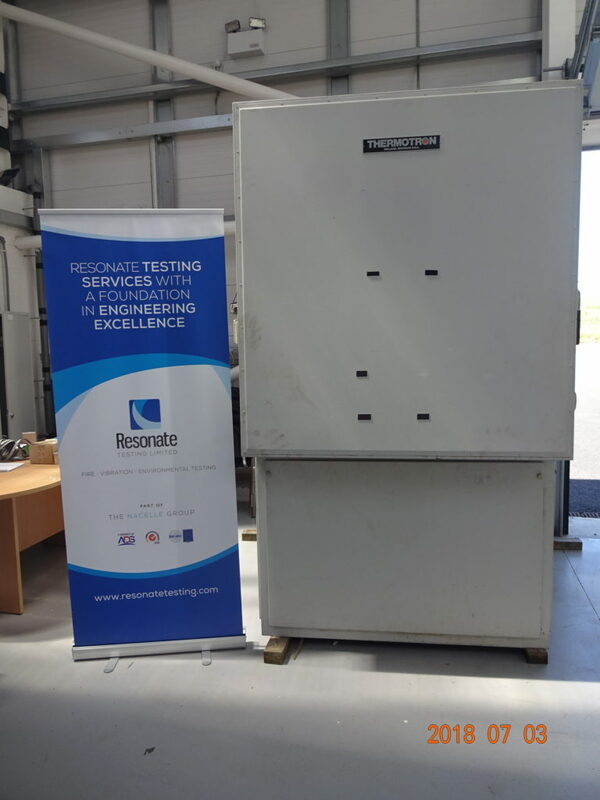 Our Thermotron RSS-16-LN2 temperature testing chamber has 16ft³ of test space (internal dimensions of H30”x W26”x D34”) and is capable of providing cooling and heating between -100°C to +200°C, with a ramp rate of up to 20°C per minute if required. 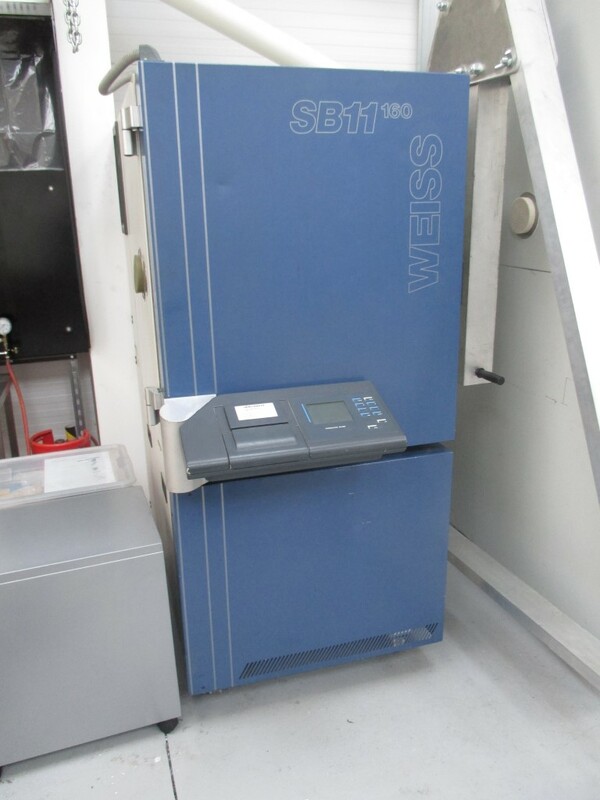 Our Weiss SB11 environmental chamber, with internal dimensions of H26”x W21”xD16.5”, offers a temperature range between +180°C and -40°C, with a ramp rate of approximately 3°C per minute. This chamber provides a 10-98% relative humidity. 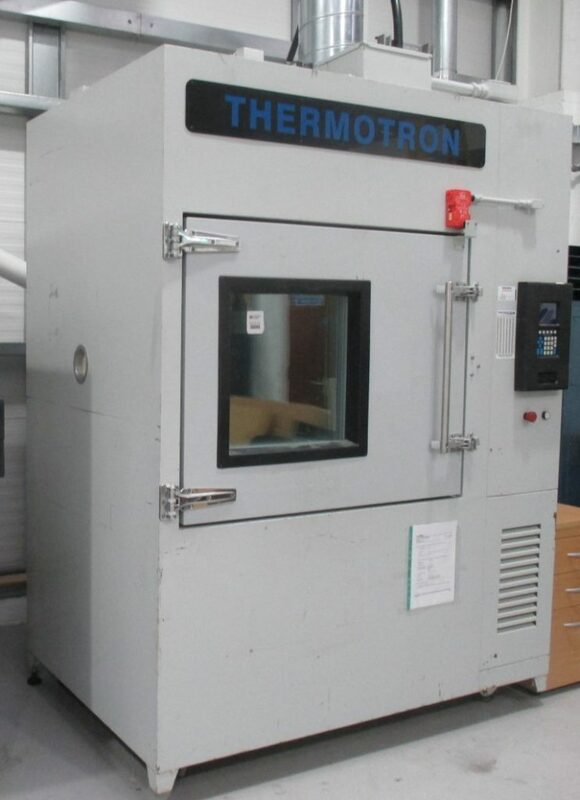 Our Thermatron FA-35 Altitude Chamber brings the broadest range of capabilities along with a substantial test bed area. Altitude ranges from ambient up to 100,000ft and it can achieve up to 70,000ft in 20 minutes. Temperature ranges from: -73°C – +177°C, at a ramp rate of circa 5°C/min. Humidity ranges from 20% to 95% RH and the chamber can be programmed across a mix of all 3 parameters. These chambers allow us to set-up tests to standards for applications in aerospace, marine, and a range of extreme land environments such as arctic conditions seen in the energy sectors. Tests can be conducted for components under operation, for instance powered up or with fluids flowing, to enable operators to control and assess performance. For more information or to discuss specific test requirements please do not hesitate to contact us.